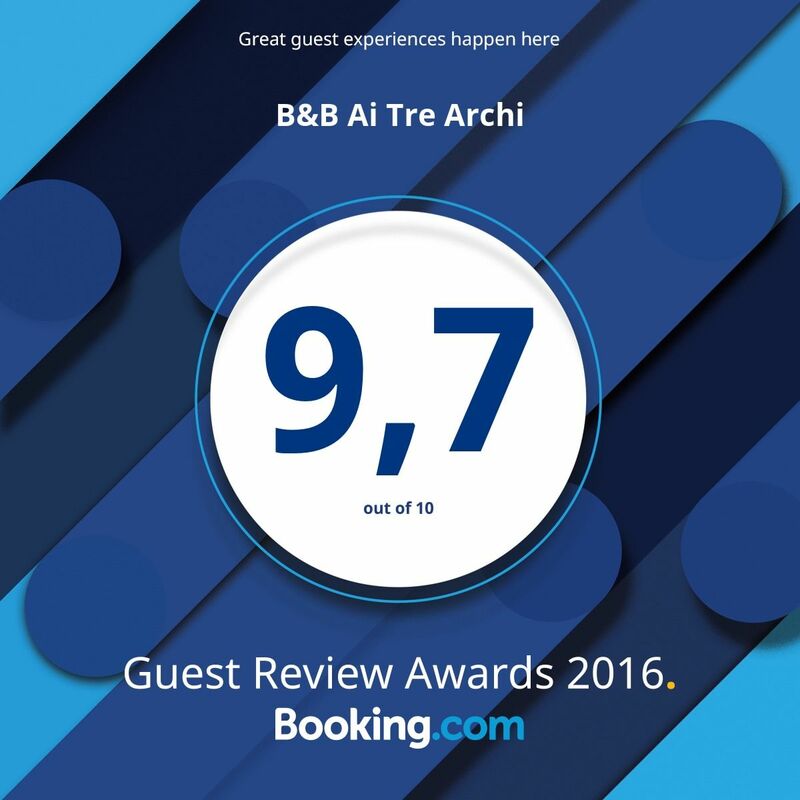 “Ai Tre Archi” Bed & Breakfast is located in Spotorno, a small seaside town in the Savona Province on the North West Italian Riviera. We offer a double bedroom with en suite bathroom and a family combination of two rooms which share the same bathroom. The atmosphere is completed by a welcoming breakfast room and an outside porch for summertime breakfasts. The Bed & Breakfast has its own access, separate from the family house entrance, which grants independence and privacy to our guests. The Rooms have free wifi connection, independent air conditioning, private bathroom with shower and hairdryer, safe, private patio with table and chairs. Breakfast will offer the option of freshly baked cakes, biscuits, puddings, yoghurt, homemade marmalades and jams, cereals, cold cut, cheese, Ligurian Focaccia ( bread), fresh fruit, homemade bread and other seasonal goods. Breakfast is served in the Breakfast room or under the outside porch in summer. Parking: all guest have access to their own parking place which is in a closed fenced area. There is extra parking availability for scooters, bikes and motorbikes. Location: The B&B is 400mt walk to the sea (5 mins). Very close to the Protected Maritime Area of Bergeggi and the historical town of Noli. The train station is 500mt away and the closest motorway exist is Spotorno, 2km. Outdoor Activities: excursion paths up the Ligurian hillsides and mountain bike trail towards the Manie Plane, not far up above the B&B, mountain climbing equipped area of Finale Ligure, mushroom picking in Autumn and Spring. Sea Port Connections: The B&B is 10 minutes drive from Porto Vado, departure for ferries to Corsica and Sardinia, and 20 minutes drive from the Port of Savona from where Cruise ships sail to various destinations in the Mediterranean. Whale watching excursions can be joined with regular departures from Savona, Loano and Andorra, all reachable within short car journeys.